Mike Matheson D Ques Tues - Poss. Suspension - 10/14/18 Matheson is facing a possible suspension for a hit on an unsuspecting player and it is uncertain if he will play against the Flyers on Tuesday. Derek MacKenzie C Ques Tues - Upper Body - 10/13/18 MacKenzie has missed the last two games with an upper-body injury and may not be ready for Tuesday's game against the Flyers. Jamie McGinn LW Out indefinitely - Back - 9/14/18 McGinn had back surgery and there in no timetable set for his return. 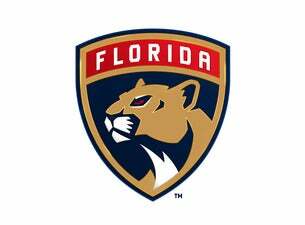 Roberto Luongo G Early Nov - Knee - 10/8/18 Luongo has been placed on injured reserve and will likely miss two-to-four weeks due to a Grade 1 MCL sprain. Josh Brown D out for season - Upper Body - 10/9/18 Brown has been placed on injured reserve with an upper-body injury and is expected to miss the remainder of the 2018 season. Micheal Haley C Out indefinitely - Illness - 10/12/18 Haley has been placed on injured reserve due to illness and it is unclear when he will return to the ice.